2015 was the start of a whole new era for LocalDines.com. In an effort to truly support the local community, we are now paying it forward by making a $1000 corporate donation to a different local non-profit each month. In addition, any contributions made from LocalDines customers while checking out on this site, are presented to our chosen cause at at the end of each month. Little Smiles is a volunteer driven, non-profit 501(c)3 charity that helps children in local hospitals, hospices, and shelters. The daily routine of a child who is hospitalized typically consists of medication regimens, needles, and countless hours spent (sometimes alone) in a hospital room. Little Smiles provides anything from toys to electronics, to VIP outings for the children. In addition to fulfilling individual wishes, they also organize snack food runs, movie night parties, holiday events and pizza parties complete with Nerf Gun© wars! With the help of local doctors, nurses and social workers, they are able to respond by being hands-on and immediate. The ultimate goal is to brighten a child’s day and allow them to just be a kid again. Click Here to learn more about Little Smiles, the Official Charity of The KVJ Show on WRMF! 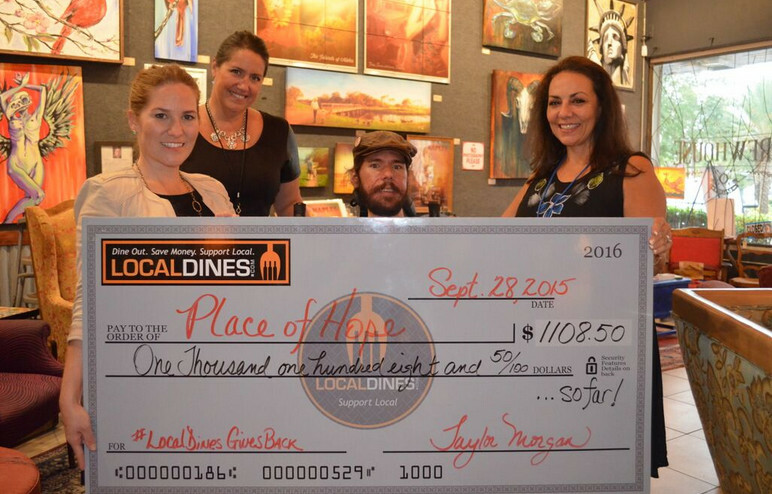 In 2015, LocalDines was able to donate a total of $7,319.48 to some very worthy local causes. We couldn't do any of this without our great restaurant partners and our awesome customers who's certificate purchases help us to help others in need! Total Funds Raised: $1417.14 THANK YOU for helping us to support local! Total Funds Raised: $1179.81 THANK YOU for helping us to support local! $2 is all it takes to provide a needy South Floridian with a Thanksgiving meal. 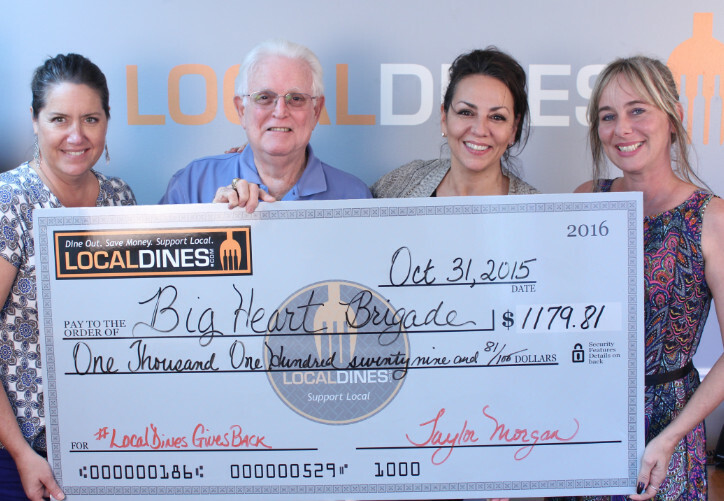 Visit www.BigHeartBrigade.net to donate on their site, or to see how you can volunteer to help in this awesome project this season. Total Funds Raised: $1248.04 THANK YOU for helping us to support local! Thank you to all who came out to have fun and support Place of Hope, and to all who donated prizes for our raffle. And, massive KUDOS to Jo & AJ and the staff at Brewhouse Gallery for hosting this event. Awesome venue. Great food, craft beer, wine. Fantastic job! Total Funds Raised: $2090.05 THANK YOU for helping us to support local! A big, heartfelt thanks to all of our LocalDines customers that made a donation at checkout and who came out to our Check Presentation Party at Shinding Irish Pub in Port St. Lucie. Total Funds Raised: $1384.44 THANK YOU for helping us to support local! 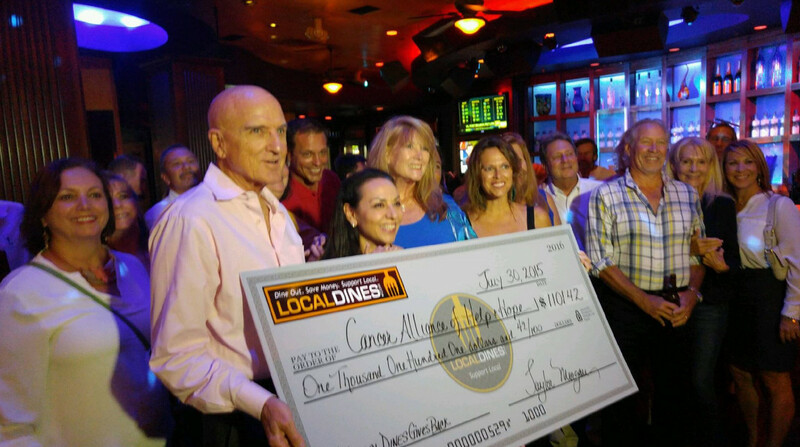 A big, heartfelt thanks to all of our LocalDines customers that made a donation at checkout and who came out to our Check Presentation Party at Blue Martini in West Palm Beach.